And with that Travel Girls Getaways was born! We worked extremely hard in 2017 to launch our affordable luxury getaways. We didn’t want to ask you to travel with us and just wing it when you got to the destination. 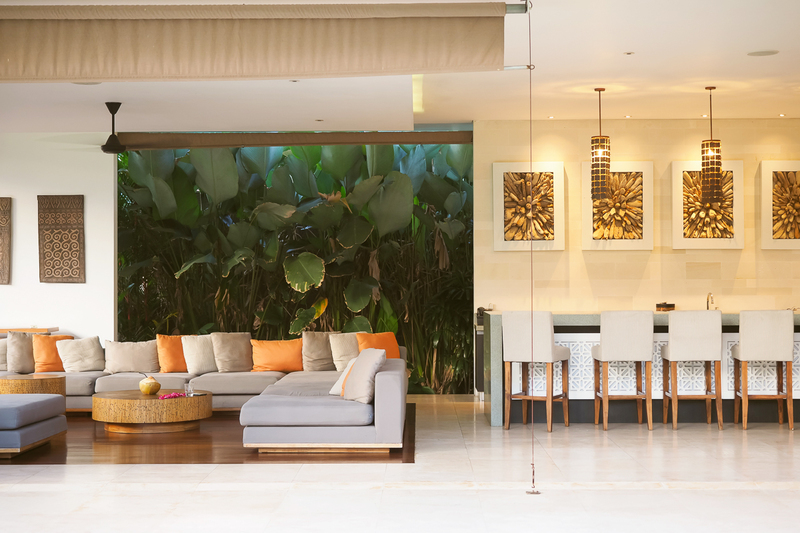 We knew we wanted to create a trip of a lifetime, a curated, luxury, all inclusive experience where you will arrive to find everything catered for and every detail thought of. 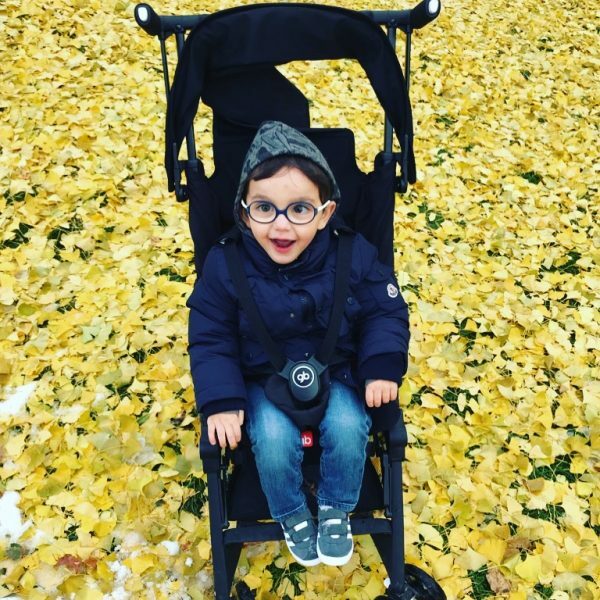 We believe this is what differentiates us from many of the ‘Travel With Me’ trips that are popping up on Instagram these days. 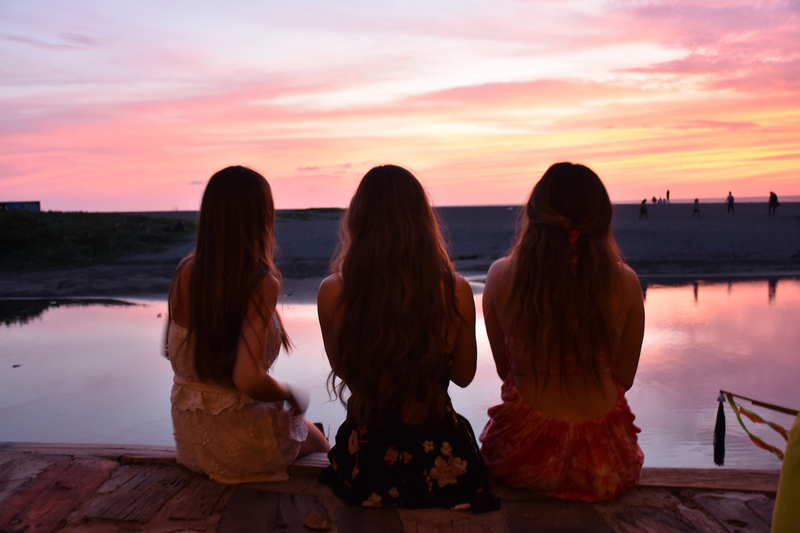 Our goal is for you to come away from one of our trips having created lasting memories, new friendships and be ready and excited to book your next getaway with us! 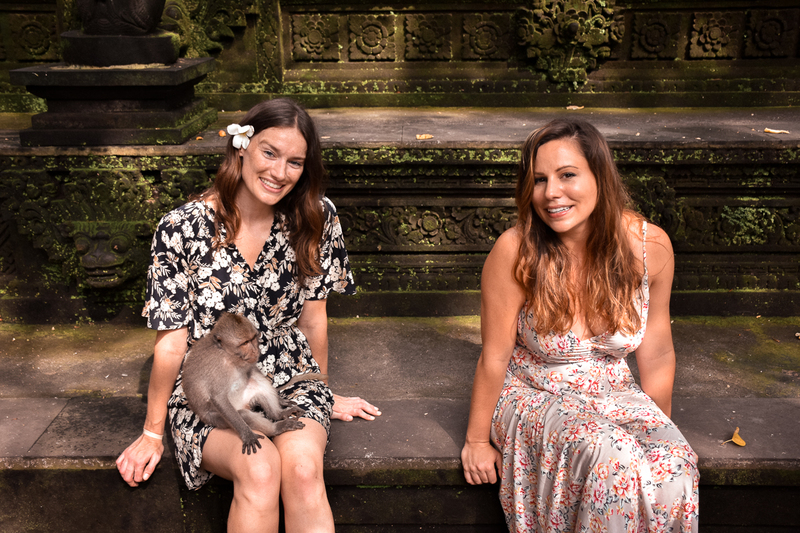 We now offer a variety of educational retreats, trips and tours hosted by our founders Becky van Dijk and Vanessa Rivers for women looking to travel with other like minded female travellers. Our trips take you on an adventure to a new destination, give you an opportunity to learn new skills, immerse yourself in local culture and most importantly make lifelong friends! In 2018, we will have trips to Bali, Malawi and Morocco. We are also taking interest for trips to Italy, Mexico, Iceland, Sri Lanka, Turkey, California and more. 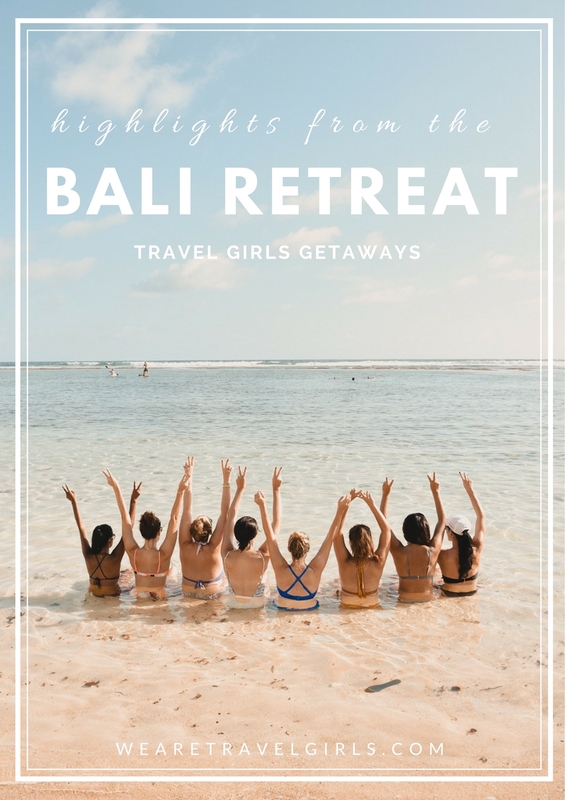 In this article we share some of the highlights from our retreats in Bali to inspire you to join us on a Travel Girls Getaway in 2018! 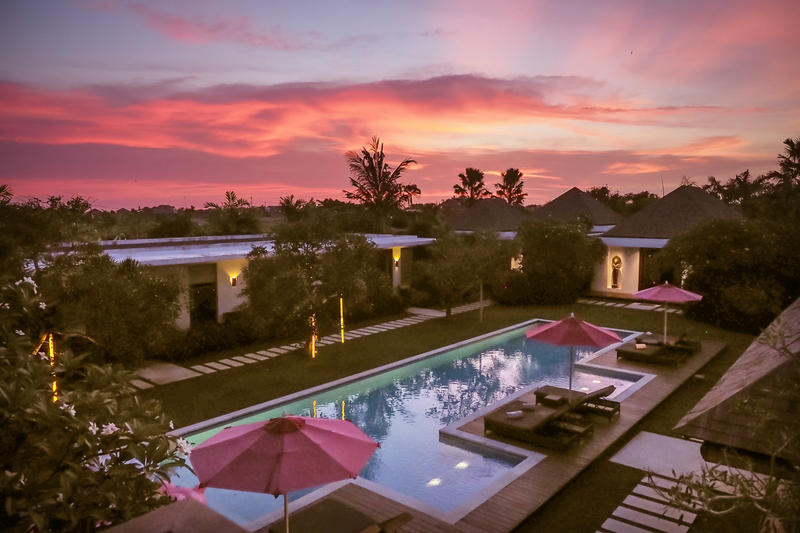 Our Bali Retreat is 8 days / 7 nights and we all stay together at a luxury villa in Umalas, set between busy Seminyak and hip Canggu. The villa is located perfectly to explore Bali, allowing us to take the group to the surrounding areas, as well as North, South and central Bali. The villa is huge, so despite having 14 girls on the trip it is easy to find a quite space for alone time and reaction whenever you need it! On the days we have downtime at the villa, guests enjoyed yoga, gym time, massages, afternoon pool parties and cocktails in the outdoor teppanyaki area. We loved the villa so much that we immediately booked it again for this years retreats! You can see more information and photos of the villa here. During the Bali retreat we take the group to explore North Bali. This part of the island is increasing in popularity and more tourists are making there way there every year. During the trip up to North Bali we visit the stunning Pura Ulun Danu temple, the photogenic Bali Handara Golf Course entrance; Twin Lakes overlook and selfie spots; Munduk Moding Plantation; Git Git Twin waterfall and the Holy Hot Springs. 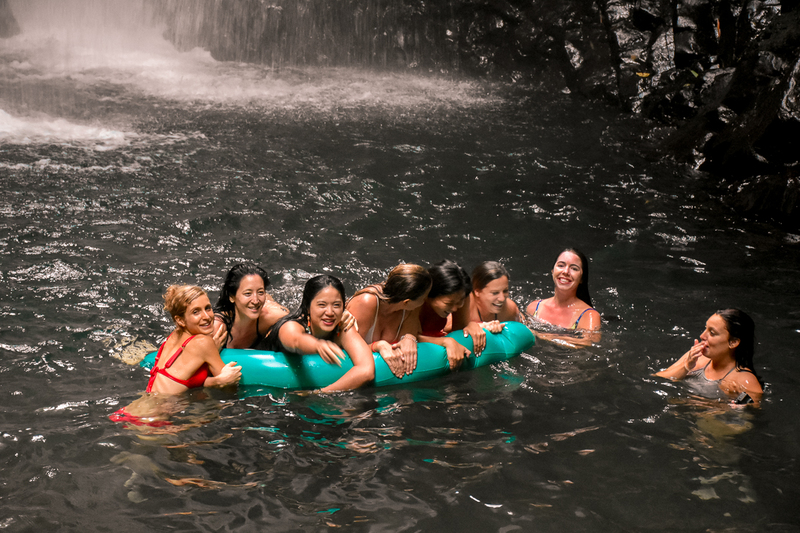 Our time in North Bali also takes us to the Git Git Twin waterfall and when we read our feedback forms at the end of the retreat, unanimously this was the girls favourite moment and experience during the week! 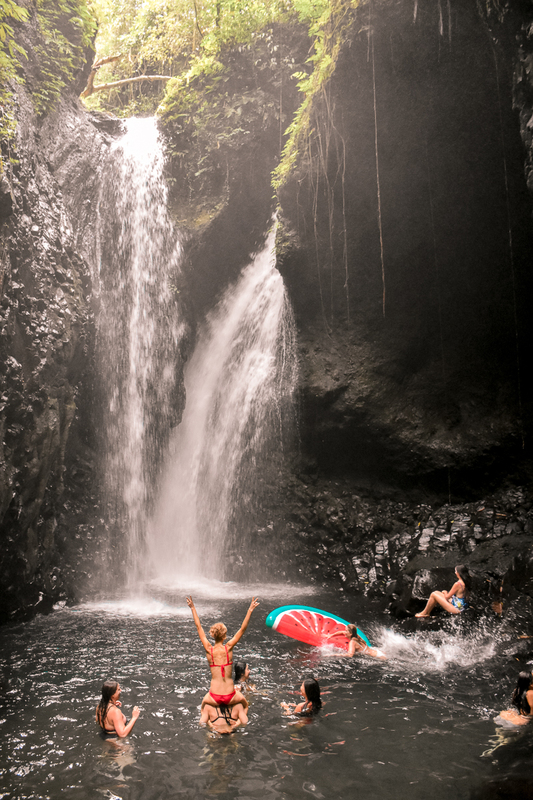 Going to this waterfall at a strategic time means that we get it all to ourselves, and whilst the water is FREEZING that doesn’t stop us from spending an hour splashing around! A trip to Bali wouldn’t be complete without a visit to Ubud to experience the place made famous by Eat, Pray, Love. We begin our day trip driving to Tresna Bali Cooking School, a unique place where you will not only get to learn about Indonesian culture and cooking, but you will enjoy traditional ceremonial food that you will not have the opportunity to eat elsewhere in Bali! After lunch we visit the famous Tegalalang rice terraces, and then on to play with the monkeys at the monkey forest. Bali is famous for its beaches, but the truly beautiful white sand ones are only found in the south. We take an afternoon to head to one of the best luxury beach clubs on the island where we stop for delicious lunch, before spending the afternoon on paddle boards, kayaking, snorkelling and relaxing. At sunset there is a bonfire and on this years retreats we plan to stay there to watch the sun go down at the end of a beautiful beach day! Our trips are not just about learning and seeing a new country, they are also about having fun! An impromptu late afternoon pool party on our giant Sunnylife floats happened on our first retreat when our retreat manager set a great playlist on the villa sound system and opened up a few glasses of wine for us! Later that evening after a few glasses of wine, the group suggested that we all come to dinner in our bathrobes, which we now anticipate will become a Travel Girls Getaways tradition! 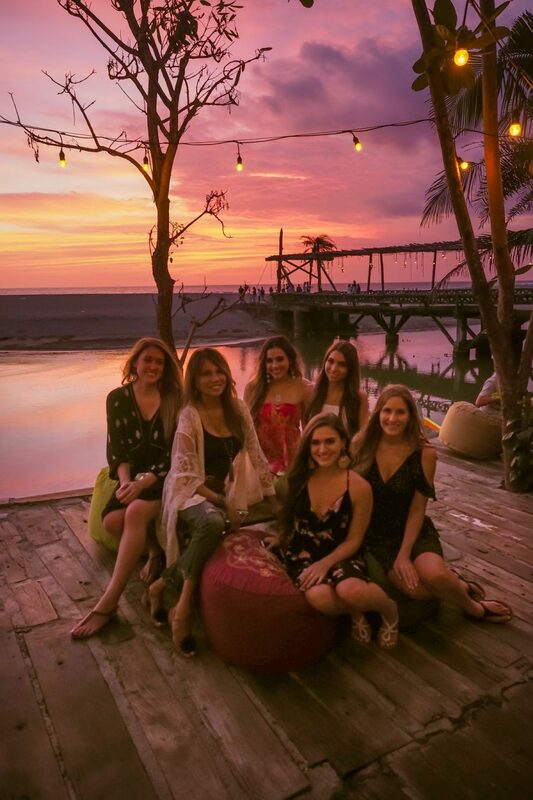 One of the highlights of our Bali retreats is all of the photogenic spots we take the girls to during the day, and at sunset for our meals outside the villa. 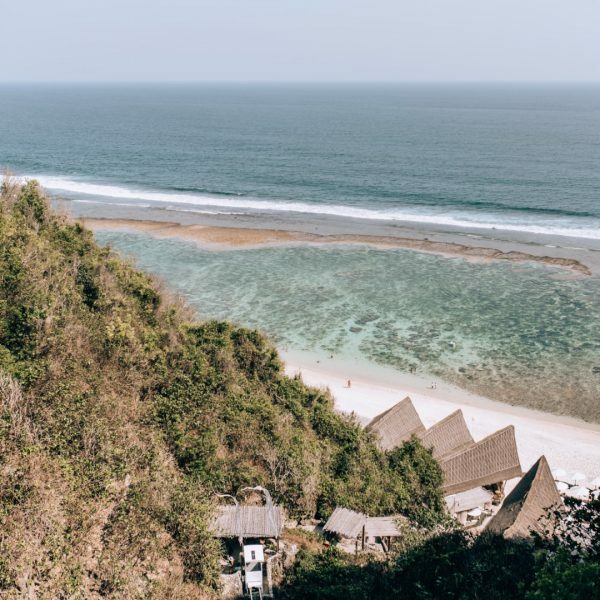 We carefully selected an itinerary of restaurants and bars that have the best food in Bali and also come with a great view! Our retreats are all inclusive experiences and as you can see we have a pretty packed agenda! 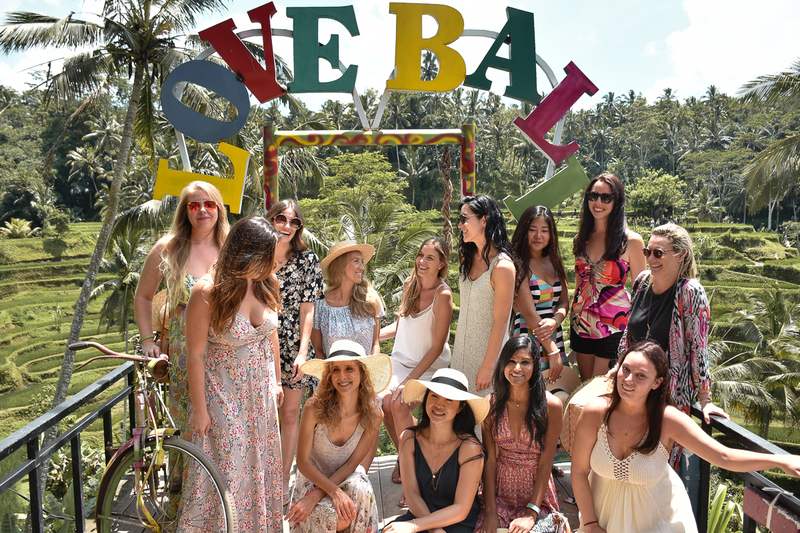 But during the Bali retreat there is also downtime to get the girls to relax, unwind and enjoy their vacation. We have early morning yoga sessions, in villa massages and of course unwinding by the pool or any of the many chill out areas. Luckily we didn’t get any rain, but if we had we have a theatre room ready for a pamper afternoon complete with travel movies, wine, pedicures and popcorn! Our Bali Retreat included a large educational element in the form of a series of workshops led by our founder Becky van Dijk. 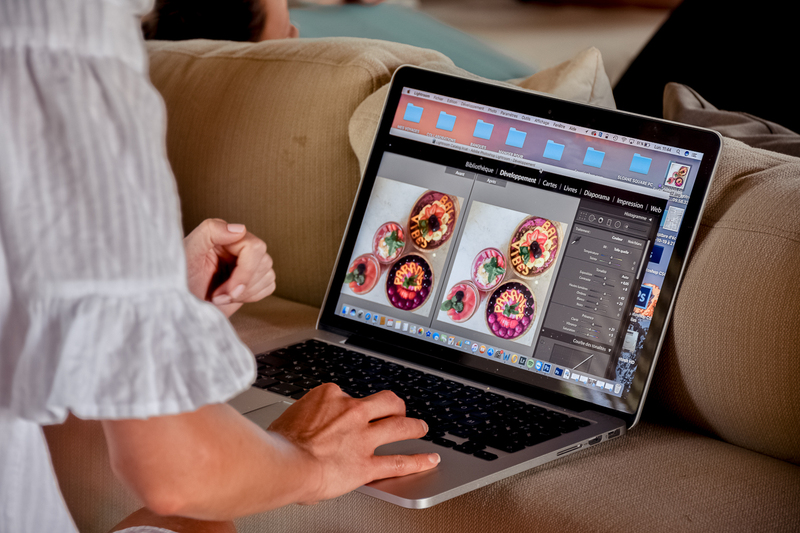 Unlike other courses we teach you exactly what has worked for us to build a community without using any tricks, bought followers or looped giveaways on Instagram. We teach you about business planning, building your brand, securing collaborations, getting to traffic to your website and why we think this is more important than simply building a large social media following. All of the workshops are optional, so if someone prefers to lie in or chill by the pool instead they can do so without feeling like they are missing out, as we also supply you with eBooks on everything we teach. The most important part of our trips is creating lasting friendships. We were delighted to see so many strong bonds forming within hours of the retreats starting! 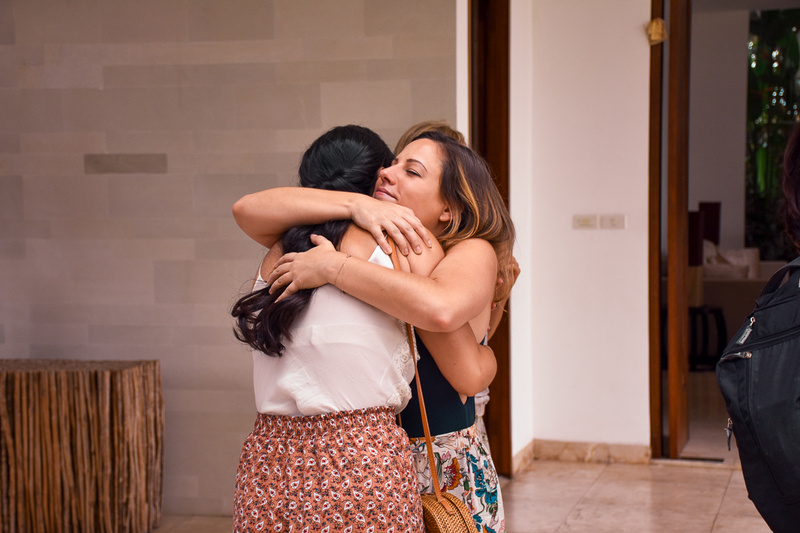 Our community is filled with passionate, smart and interesting women with similar outlooks on life which means that friendships are created quickly. Our extensive organisation and planning means that we can guarantee a lot of things on our retreats and trips. 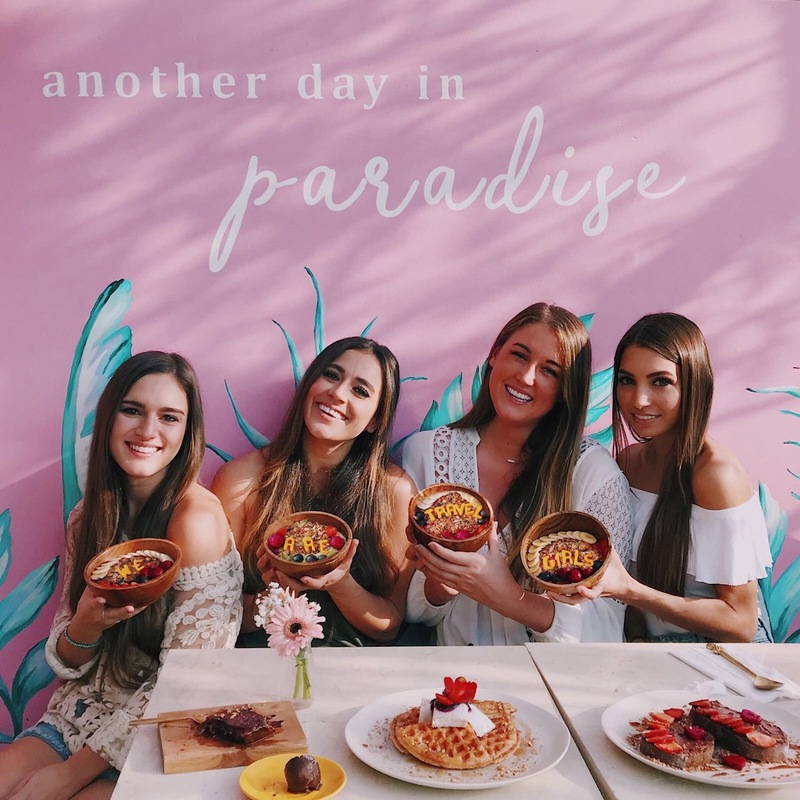 Despite not being able to fully plan how personalities will fit, we still believe that we can guarantee you will get to meet some incredible women and walk away with a whole new group of girls you want to visit around the world! WHAT DID OUR GUESTS HAVE TO SAY ABOUT THE RETREAT? WHY SHOULD YOU JOIN OUR NEXT GETAWAY? 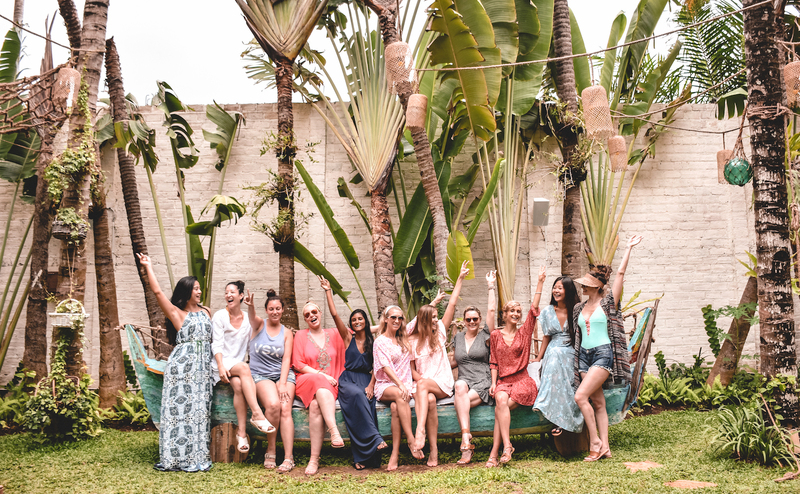 After months of hard work and planning, we had an absolutely amazing time welcoming such a diverse and intelligent group of women to our first getaways in Bali. We loved every moment we got to spend together, and more than anything we loved watching new friendships forming. We are excited to see where those friendships lead since a lot of the girls have already met up again and some have even gone away on trips together, so we know we are doing something right! We hope that you enjoyed reading the highlights from our retreat in Bali and we are excited to welcome you to one of our trips in the future. Click here to explore our upcoming retreats and trips!